My grandmother is Ojibwa, my father was French, and my husband was a Scot. You can despise whichever one of those your English heart chooses, or all of them, but I am not a thief. I put those words into the mouth of the heroine of a novel, but they provide a good description of the people of Upper Canada in 1832, when the story takes place. It was a time of upheaval and change. The Parliament of Great Britain created Upper Canada with the passage of the Constitutional Act of 1791. The act carved a new political entity out of what had been the Province of Quebec, effectively dividing the province in two. The driving force behind the act came from the influx of loyalists from the thirteen southern colonies during and after the American Revolution. Threats, loss of property, and punitive taxes drove many north. 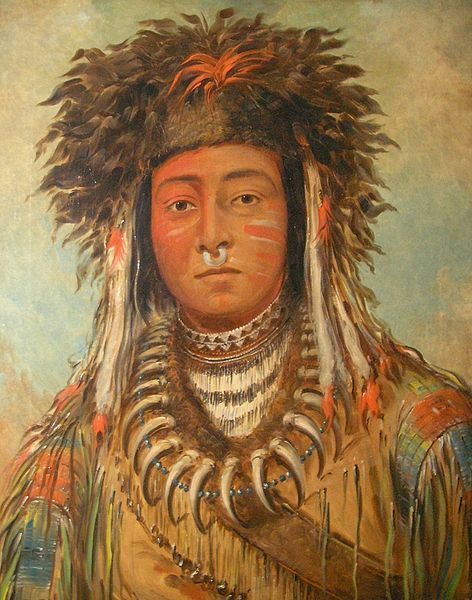 had built missions, trading posts, and settlements in this western country as early as the 1600s. Two main groups of native peoples lived in the territory that became Upper Canada, Anishinaabe people including the Ojibwa, and people of the Iroquois nations. Ojibwa tradition is that they came from the east, settling around the lakes well into what is now Wisconsin and Minnesota. By 1791 they had ceded most of their land in what became Upper Canada by purchase or treaty. During the1830s, about the time of my novel, there were Ojibwa villages stretching from Lake St. Clair, along the eastern shore of Lake Huron and north around Georgian Bay. French traders had been in the area for over 100 years at the time of the Act of 1791. There was a French mission at St. Marie in Midlands in 1639 and one at Sault Ste. Marie in 1688. Fort Ponchartrain du Detroit dates to 1701.After the Treaty of Paris in 1763, Scottish traders also immigrated to the Detroit area. French fur traders, and Scottish as well, married native women and there was a significant body of mixed or Metis people in Upper Canada. Removed reference to the Protestant faith from oaths of loyalty and guaranteed freedom to Roman Catholics. For the most part imposed French civil law as the legal system, as opposed to English common law. Retained the Catholic Church’s right to impose tithes. Retained the Seigneurial system of land ownership, a semi-feudal system which meant, in general, that tenants had the right to use land but did not own it outright. Did not provide a elected assembly. Officials worried about that based on the rebels in the thirteen colonies. The religious provisions generally worked well, but loyalists, who began to arrive soon after the Act, found themselves a minority in a French-speaking province and soon began to push for English law and customs. The Act of 1791 carved out an English province with English law, government, and land-holding customs aimed largely at the loyalists. The government was based on the English limited monarchy system. While Canada did not have aristocracy, the Upper Canada tended to be dominated by powerful families. The government appointed members to the Legislative Council (analogous to the House of Lords) for life. The Legislative Assembly was elected, but its power was limited, and the Council had veto power. There was a deep suspicion of democracy rooted in reaction to the American Revolution. The loyalist population continued to arrive in waves. An estimated 7,000 scattered across the area initially were joined by a large influx after the Act of 1791 which promised land. By the War of 1812, and the arrival of the so-called “late loyalists,” conflicts arose over entitlement to land grants and some resentments of Americans rose up. 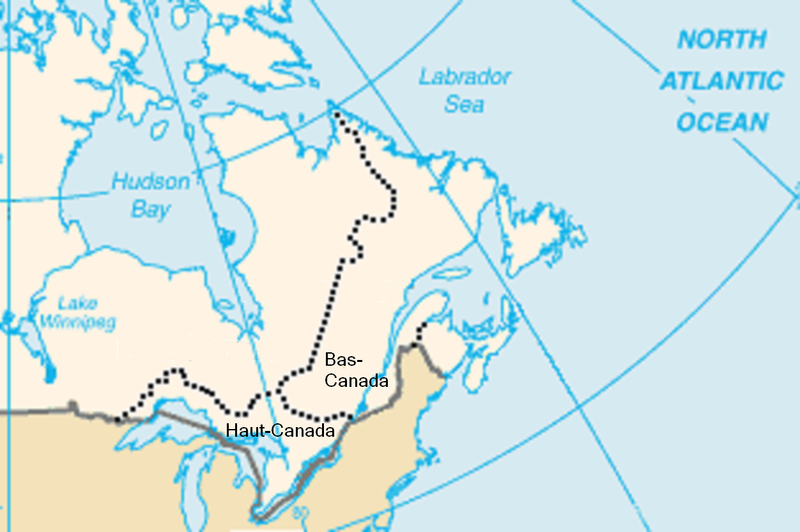 About the same time, after the end of the Napoleonic War in 1815, the Great Migration from Britain into Canada began, spurred by economic conditions and the promise of cheap land. 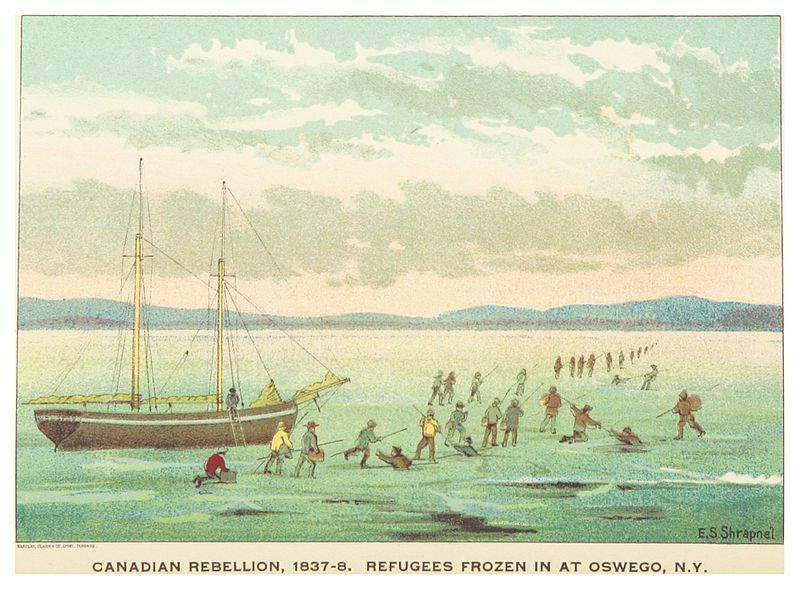 It has been estimated that 800,000 migrants immigrated to Canada between 1810 and 1850, but it isn’t clear how many settled in Upper Canada, and how many Irish and Scottish settlers are included in that number. 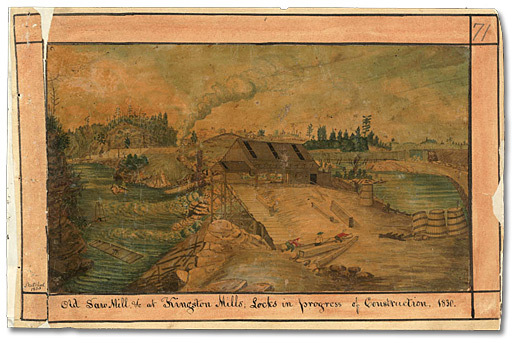 In 1826, construction began on the Rideau Canal, and officials determined that commercial contractors would be used. Some contractors had existing labor forces, largely French and Metis workers. The textile industry had collapsed in Ireland and destitute Irish immigrants were eager for work. The building of the canal was backbreaking and dangerous. It is unclear, but at least one thousand died, five hundred from malaria alone by the time work finished in 1832. The canal had begun as a strategic military project, but by the time in was complete, its importance was primarily commercial. It served as a conduit for ongoing waves of immigrants. 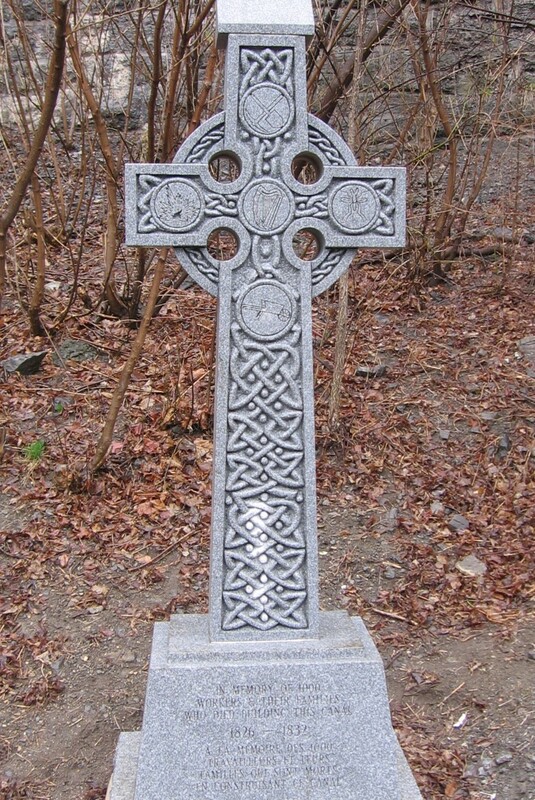 The Great Famine of the late 1840s brought yet more Irish into the area. Very early on Upper Canada included an African American population. A incident in which an enslaved black woman resisted transfer to a new owner in the United States—and the support she gathered from neighbors—led to the Act Against Slavery for Upper Canada of 1793. It is credited with helping prod Britain to abolish overseas slave trade in 1807. Aiding fugitive slaves began at that time. Eventually over 30,000 fugitive slaves came to freedom in Canada via the Underground Railroad, most of that to Upper Canada. 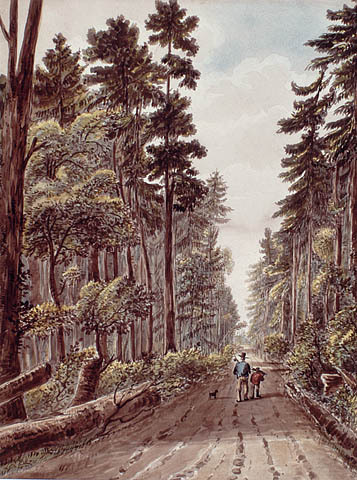 The diverse groups in Upper Canada began to strain against some of the provisions of the Act of Constitution by the 1830s. Ongoing disputes about land and the late loyalists, crop failures and economic stress, lack of power to the elected assembly, and resentment of the ruling elite came to a head in the 1837 Rebellion. Rebellions in Upper and Lower Canada are believed to have led in part to the Act of Union of 1840 and the United Province of Canada in 1841. It also contributed to the rise of moderate and more effective government is what is now Ontario. Caroline Warfield lives in the urban wilds of Easter Pennsylvania where she spends time with her own hero and their grandson, enjoys the history all around her, and writes historical romance. The heroes and heroines of Caroline’s Dangerous Series overcame challenges even after their happy ending. Their children seek their own happiness in distant lands in Children of Empire. The first of the new series, The Renegade Wife, set in Upper Canada in 1832, comes out in October. Its sequel, The Reluctant Wife, set in India in 1835, will follow in April, 2017. Tanner, Helen Hornbeck, Atlas of the Great Lakes Indian History, Norman Oklahoma: University of Oklahoma Press, pages 126-129. Very interesting look at a part of Canadian history that we don’t read much about here in the US. Our instruction in Canadian history usually begins and ends with The Expulsion of the Acadians during the French and Indian War and their resettlement in what is now the state of Louisiana. Longfellow’s Evangeline usually comes along somewhere in our study of literature. That’s pretty much it. Thank you for sharing this greater view! An interesting piece, well written! I especially like that line from your novel; appropriate and clever. Up until now, my knowledge of Canada’s civilization was limited to the Underground Railroad, the Loyalists who fled there after the Revolutionary War, and the Ojibwas. Thanks for rounding out my knowledge. I always love your history lessons, Linda. And Caroline, this is no exception. I read a book about a year ago, told in first person, from a woman’s perspective, who came to Montreal as a young girl. I need to find the book name on my Kindle. It was a real memoir that her great-great granddaughter found as a diary, I believe, and published. Fascinating stuff, she went thru three husbands before she was with the man she really wanted. I’ve never been in that part of Canada and would love to go. As always you are a wealth of information. I really know very little about Canada’s history and this was an eye-opener.